OUR FRAMEWORK | THE MARKETPLACE 2.1 & CO. OUR FRAMEWORK – THE MARKETPLACE 2.1 & CO. So it is very important that your brand contains highly distinctive external expressions of what it promises to the targeted audience. The entire branding elements should be consistent and guarded as the way you do with your product trade secrets. However, the elements should be easy to understand and readily available so you can cultivate brand understanding & adoption among employees & other users who will be creating the customer’s brand experience. Remember, marketing your brand to customers requires agility, flexibility and creativity. Even the most successful brands must constantly adapt to keep pace with shifting consumer preferences. Many categories are swamped with competing brands with its products and services, and without a strong brand, yours is in danger of being regarded as a commodity. Owning a powerful brand enables you to capture consumer loyalty, and gives you the leverage to expand your brand into new markets, and to introduce new products. It all depends on how customers see you and their loyalty to you. The customers now are more demanding and discriminating. They are regularly exposed to a barrage of marketing messages. How do you distinguish yourself from all that noise? Your brand should be more than a product. Your brand is an experience – a promise of what customers can expect. It’s more than just getting their attention. It means keeping it. It means building a relationship with them. The MarketPlace 2.1 & Company will take you to every step of branding your brand. We call it the Brand DNA, a complete branding framework divided into four (4) groups for comprehensive management. 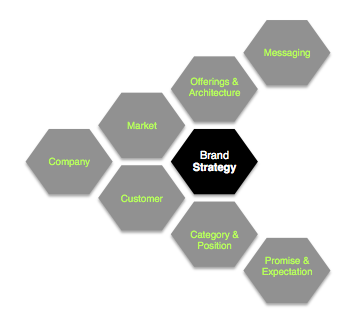 BRAND STRATEGY – the foundation of branding activities. This is pre-concept stage and it involves the entire management group. This scope is to understand key aspects of your company, target market, customer profile, service & product, and category & positioning. Use the insights gathered from these key aspects to define set the foundation for all branding activities before creative development work begins. 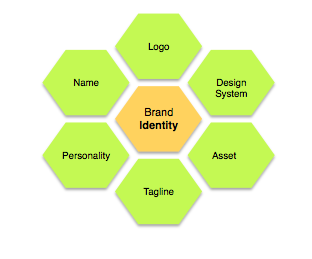 BRAND IDENTITY– the branding design and guidelines system. This phase provides your brand a unique identifier of what your business stands for and forms instant recognition in a crowded marketplace. This is where you put together your brand name, its personality/promise and the symbols (logo, tagline etc.). BRAND MANAGEMENT– the full spectrum of branded communications and interactions.This is the day to day function of a brand manager. The process of maintaining, improving, and upholding a brand so that the name is associated with positive results. 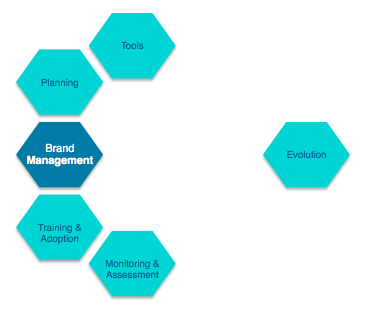 Brand management involves a number of important aspects such brand planning, training and adoption, branding tools, monitoring and assessment and the brand evolution. This is the stage where you can test your brand strategy by exhibiting result in higher sales of the products associated with your brand. 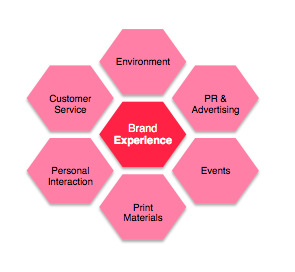 BRAND EXPERIENCE– the set of activities for you and your audiences to come into contact. Some brand managers outsource this process to the marketing services group. This involves designing a range of experiences that customers and prospects will find meaningful, memorable, and associate explicitly with your brand. Doing this is the surest path to building brand trust, loyalty and advocacy. The full array of experiences includes, but is not limited to traditional market communications. It extends well beyond them to include personal interactions, events, environments even the appearance, function and reliability of products and services and any other opportunities for you and your audiences to come into contact. The MarketPlace 2.1 & Company goal is to make every point of contact with your customer and other audiences as remarkable, engaging and compelling as possible and of clearly tying these positive experiences to your brand. Remember, a strong brand is invaluable as the battle for customers intensifies day by day. It’s important to spend time investing in researching, defining, and building your brand continuously. After all your entire brand is the source of a promise to your consumer.